Budge工作室出品“恰恰特快”火车冒险总动员 免费版本 奇异的火车冒险，在这套终极火车和铁路冒险应用中等待孩子们去探索！这个程序包括铁路冒险、令人兴奋的插曲片段、火车组收集活动，以及其它更多的游戏！给所有年龄段的孩子带来乐趣。 玩令人兴奋的冒险游戏，观看剧集片段，构建你自己的“恰恰特快”火车世界 特点： • 在恰恰世界绘制一条路径，与你最喜欢的火车宝宝一块开上轨道 • 串上货物车、四轮马车、喷气包、助推器，以及其他有趣的装备 • 冒险胜利，放烟花庆祝，并加强火车宝宝的装备 • 在创建与游戏的模式下，收集和安装所有的火车玩具部件，然后探索你自己的恰恰特快世界！ • 完整包含基于“恰恰特快车”剧集的4个令人兴奋的冒险，包括“煞车不灵的布鲁斯特 ”、 “ 布鲁斯特的助推器”、“可可的喷气发动机”、“无法赶上可可”。 • 每个冒险包括装载、发现、营救、迅速交付等任务 • 特殊功能，如飞行、夜间场景、任务、速度助推器等，增加趣味，鼓励扩展！ • 观看短片，与“我的收藏”中的火车组件互动 关于BUDGE STUDIOS Budge工作室专为儿童提供富有创新性和创造性的娱乐软件，是行业先锋。公司开发并发布用于智能手机和平板电脑的游戏软件，向全世界数百万儿童提供高端的风靡全球的游戏，如草莓甜心（Strawberry Shortcake）、 恰恰特快（Chuggington）、爱探险的朵拉（Dora the Explorer）、海绵宝宝（SpongeBob SquarePants）以及米妮（Minnie Mouse）等。 Web: www.budgestudios.com Facebook: facebook.com/BudgeStudios Twitter: @BudgeStudios YouTube: youtube.com/BudgeStudiosBefore you download this game, please note that this app is free to play, but additional content may be available via in-app purchases. It also may contain advertising from Budge Studios Inc. regarding other apps we publish, and social media links that are only accessible behind a parental gate. BUDGE STUDIOS is a trademark of Budge Studios Inc.
Budge工作室出品 爱心熊 - 创作与分享！ 创作出自己独有的爱心熊（Care Bears）明信片，与你爱的人分享！快来为可爱的小熊打造各式各样的奇妙组合吧，每张明信片还有彩虹色彩的装饰喔！然后写上甜蜜的祝福，送出你的爱——因为爱是分享！ 特点• 按步骤操作，简单、有趣，适合所有年龄段。• 挑选你最喜欢的爱心熊和肚皮图案，还可以自己来创作。• 把自己的脸添加到爱心熊身上！• 把星星拖到小熊腹部，点亮它们的肚皮图案。• 用神奇的配饰、贴纸、邮票、边框和博爱熊（Care-a-lot）云层背景作装饰。• 打印或手写上温馨的寄语。• 同家人和朋友分享你完成的创作。小熊主题游戏包•游戏包 Tenderheart™•游戏包 Wonderheart™•游戏包 Harmony™•游戏包 Share™•游戏包 Wish™•游戏包 Birthday™•游戏包 Bedtime™•游戏包 Cheer™•游戏包 Funshine™•游戏包 Grumpy™•游戏包 Good Luck™（Budge俱乐部会员免费）关于BUDGE STUDIOS Budge工作室专为儿童提供富有创新性和创造性的娱乐软件，是行业先锋。公司开发并发布用于智能手机和平板电脑的游戏软件，向全世界数百万儿童提供高端的风靡全球的游戏，如草莓甜心（Strawberry Shortcake）、 恰恰特快（Chuggington）、爱探险的朵拉（Dora the Explorer）、海绵宝宝（SpongeBob SquarePants）以及米妮（Minnie Mouse）等。我们的网址是：www.budgestudios.com喜欢我们： facebook.com/budgestudios 更多最新信息：@budgestudios 了解应用程序动向请点击：youtube.com/budgestudios如有疑问欢迎登录以下网址提出您的问题、意见和建议：support@budgestudios.ca. 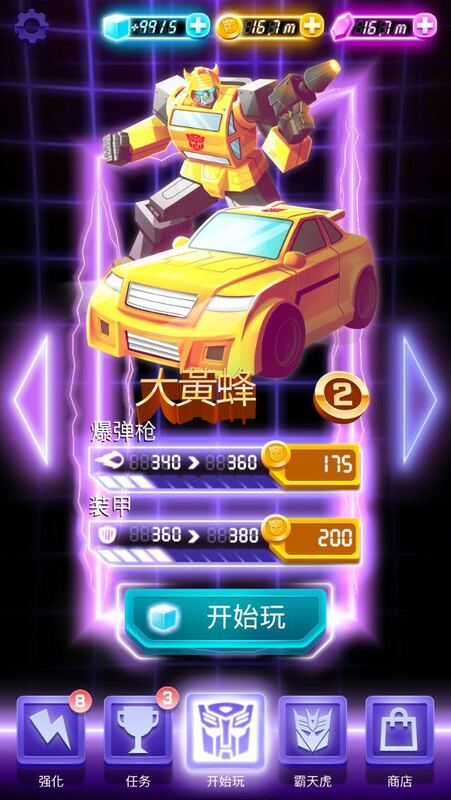 全天候为您服务。Before you download this game, please note that this app is free to play, but additional content may be available via in-app purchases. It also may contain advertising from Budge Studios Inc. regarding other apps we publish, and social media links that are only accessible behind a parental gate.BUDGE STUDIOS is a trademark of Budge Studios Inc.